This exploration of the experiences of adopting parents and children offers unusual insight into adoption's complexity and its profound impact on family life. Based on the author's research in Germany, where she lived and taught, The Adopted Child has a great deal to say about child rearing and identity, as well as offering insights into similarities and differences in family life and adoption in Germany and the United States. 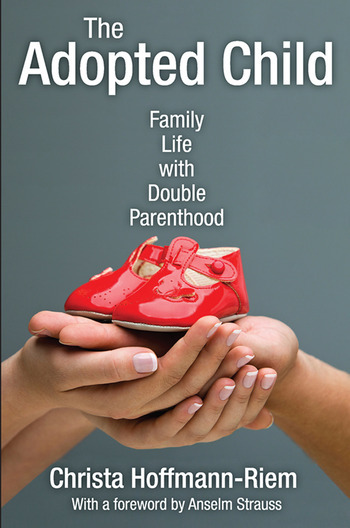 Hoffmann-Reim takes the reader through the decision to adopt, the adoption placement procedure, and the transition from "applicant" to "mother and father." She explores differences between emotions experienced in adopting a baby, a toddler, and an older child, and how these emotions can affect relations with the world outside the nuclear family. A central concern is secrecy and disclosure with regard to the adopted child's origins. Based on case studies and extensive interviews, The Adopted Child has fascinated American readers as it did those in Germany. Professionals as well as those interested in adoption and family life in general will find it significant. Sociologists will find it solidly grounded in concepts and traditions from a diversity of related disciplines. And anyone interested in Germans and German society will find the materials revealing, and the author's interpretation insightful and wise. Doubts about the Decision to Adopt: Career as an Equivalent? The Mutual Independence of "Supply" and "Demand"
"We Have a Child for You"